If you want a couple of days chilling in the sun by the pool this is the perfect hostel for you! 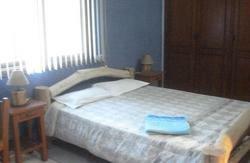 Come visit our backpackerâ€™s Luxury Hostel! The place where I grew up is now home for backpackers visiting Santa Cruz. 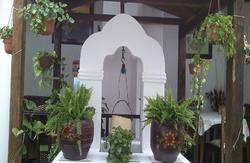 The hostel started in 2006 and has established a well-balanced between fun and relaxation. We go according to the guests staying, if you want to have fun and party, we organized BBQ's by the pool â€œall you can drink and eatâ€ for everyone to meet and have a good time. If you want to rest and relax just watching movies or having a drink at the poolside bar you can also do so. We have years of experience running a confortable, secure and spotlessly clean place with lots of tourist information for your travel. We are not the cheapest place in Santa Cruz, but definitely the best one! Spacious Dorms with A/C*, Comfy Beds, Continental Breakfast Buffet with delicious fruit, natural juices and a person that cooks fresh eggs the best way you like them in front of you and at the precise minute you want them. Fancy nice scramble eggs? Self-catering kitchen, computers with Internet and WiFi, BOOK EXCHANGE, laundry service, SPANISH LESSONS, ADVENTURE JOURNEYS and lots of Tourist information. Bilingual and very friendly staff willing to help you 24 hours with everything you may need. Strategic location between the Bus Station (18 minutes walk - 5 min by taxi), Local Airport Â“El TrompilloÂ” (15 minutes walk - 5 min by taxi) and City Center Main Plaza (about 25 minutes walk -10 min by taxi for less than 2 USD). 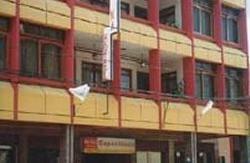 This hostel is about relaxation, meeting other travelers, experiencing the tropical beauty of Santa Cruz and its hectic nightlife. Jodanga is the best starting point for exploring all that the city and surrounds has to offer so come, feel at home and have an awesome time with us! Price: between 12 and 18 bs. Depending how many people are in the taxi. Time: 25 to 45 min aprox depends of the traffic. Price: between 60 and 80bs. Depend of how many people are in the taxi. Tips: outside of the terminal there are white and blue colored taxis (official taxis from viru viru). Ask them to take you to jodanga hostel, they all know how to get there. Price: between 20 and 35bs. Depend of how many people are in the taxi. Tips: if you just walk strait out of the airport till the main road (this is the segundo anillo avenue) and take a taxi from there, you should pay between 10 and 15 bs.